Well, the SBC has a new president of the International Mission Board. Hip Hip Hurray. The trustees were aware that this appointment would draw a ton of attention, support and criticism. Well, of all the candidates they could have chosen, this one certainly hit that nail on the head. I am not going to reiterate all the criticism leveled at Dr. Platt. Let me say for the record, I have no question in my mind that Dr. Platt is a quality individual and one who is passionate about seeing people saved. I believe he believes passionately in what he sees as “the gospel.” I am confident he and I and the majority of Southern Baptists will not see that in the same light but it is what it is. He is now the new president of the IMB whether I like it or not. I will make a couple brief comments. First, he admits that he SHOULD have given more to the Cooperative Program. I am sure he wants us all to contribute since that is now the primary source of his income. Anticipating this move, he could have encouraged his church to up their cooperative giving percentages BEFORE being selected instead of not doing so and now his goal is encourage us all to give sacrificially to the CP and no doubt to the LMCO. Dr. Platt I understand believed it was more beneficial to by-pass the CP and give directly to the IMB. He apparently knew more about what the SBC needed than the rest of us do. Apparently he did not agree with the percentages of monies actually going to the IMB and so he took it upon himself to by-pass his state ministries and the seminaries and contribute directly to the IMB while all the SBC partners tried to walk forward in unity to fulfill the promises of GCR making the CP the primary funding vehicle for convention causes. David Platt chose his own way. What is sad is now he will be asking us to do what he himself did not see the need to do. Consider the following statements of guys who have stood up in defense of Platt’s poor choices related to his CP giving. “It is true, David has wrestled with the CP, but not because he doesn’t believe in cooperating in mission. Because he does. “I have friends who were concerned because David’s church, The Church at Brook Hills, though they heavily supported world missions, didn’t do so mostly through Cooperative Program channels. I understand that concern. If I didn’t know David, I might be just as concerned. I believe in the CP, and always have. As the president of an entity funded through the CP almost entirely, I would be insane to celebrate the election of someone I thought wasn’t committed to CP. I do not understand how someone can be hired for a denominational position in the SBC and not be an ardent supporter of the Cooperative Program. I do not understand how the trustees of the IMB could simply pass on his record of not giving to the CP and hire him on an, “Oh now I see the beauty and usefulness of the Cooperative Program and would certainly do things differently.” No board of directors of any national corporation would make such a hire based on the kind of support Platt gave to the CP. Not one. Let’s forget that for a moment. Let’s look at the Annual Church Report. Brook Hills apparently does not see the need to fill out and file those reports either. Now for the record, let me say up front, I do not believe the SBC ought to compel or require churches to fill out an ACP Report. Churches are an autonomous body and can do what they want to do and they should not be compelled to do what they do not want to do; I am not so sure that will be the case in the not so distant future. When it comes to an individual being qualified to serve in a SBC entity or as a trustee of one of those institutions, they ought to come from churches that file a completed and accurate ACP Report and members of those churches that cannot or will not fill out and file an ACP report ought to be excluded from the selection process. If that were the case, Dr. Platt would not be president of the IMB. So, let’s see; Platt did not believe in the CP prior to becoming president of a CP funded entity; he was pastor of a church that did not fill out or submit an accurate ACP Report. I have not looked very deeply into this debacle but what I have seen does not bode well for this hire. I am sure time will add a couple more questions to this mix and I have not even mentioned his disdain for the use of the sinner’s prayer. Interested in bringing the issues facing The Southern Baptist Convention to light. This entry was posted in Calvinism, SBC and Calvinism, SBC Issues, Soteriology Simplified, Southern Baptist Convention, Transformed Theology and tagged A Statement of the Traditional Southern Baptist Understanding of God’s Plan of Salvation, Arminian, Arminianism, Bob Hadley, Calvinism, Calvinism Advisory Committee, calvinism for laypersons, Calvinism made Simple, CALVINIZING OF SOUTHERN BAPTISTS, CONDITIONAL ELECTION, CONVERSIONISM, Culture, Dr. David Platt, Dr. Hershael York, Dr. Russell Moore, Effectual Calling, ELECTION, eternal security, ETERNAL SECURITY OF THE BELIEVER, Evangelicalism, Expiation, FOREKNOWLEDGE, FOREKNOWLEDGE OF GOD, gospel is the power of God unto salvation, IMB, International Mission board, International Mission Board of the SBC, IRRESISTIBLE GRACE, J.D. Greear, Jesus and Total Depravity, LIMITED ATONEMENT, Man's Free Will, Matthew 13, monergism, Objections to Calvinism, Particular Atonement, Progressive Regeneration, Propitiation, reconciliation, Reformed Baptist Bloggers, Regeneration, Regeneration Prior to Faith, repentance, response to the gospel, revelation, SBC, SBC Issues, soteriology, Soteriology Simplified, Southern Baptist, SOUTHERN BAPTISTS AND CALVINISM, Southern Baptists not Arminians, synergism, The Gospel, The Work of the Holy Spirit, TOTAL DEPRAVITY, Total Inability, Total Separation, Training our Children, TRANSFORMED THEOLOGY, Unconditional Election, Whosoever Will.. Bookmark the permalink. Though I was hoping for better news, I continue to be grateful for your updates on our precious SBC (though I don’t comment). Thank you so very much. Yes my plan is to do what I said. Thanks for the thought but I have everything under control. Based on my vantage point of SBC young, restless and reformed (YRR) church plants in my area, they prefer to give directly to mission efforts rather than support the CP. They choose to fund missionaries from their own congregation to plant like-minded (reformed) churches on foreign fields. They bypass SBC’s local, state, national, and international cooperation altogether … even though they may have benefited from NAMB church planting funds! Their church members don’t even know what the CP is!! Could it be that the IMB trustees view Platt’s appointment as a mechanism to put forth as an ambassador to rally CP giving from SBC’s growing YRR ranks, as the CP-giving older generation passes from the scene? If so, the IMB has just appointed an individual who the YRR trust. Look for Platt to be out and about promoting CP with a particular focus on YRR church plants. While this may boost CP giving from the 20s-40s, the theological/ecclesiological impacts of selecting a New Calvinist leader to head the largest mission agency on the planet are yet to be seen. I have been told that one of the reasons Platt was at the top of the list was his appeal to the younger crowd and the support they hope he will bring to giving. Greear’s comment sort of underscored the significance of Platt’s position in that area. I am afraid we are in a situation where giving to the church is going to diminish and giving to outside ministries be it the CP or LMCO or even associational giving is going to be greatly impacted because churches are going to have a difficult time keeping the doors open much less keeping the associational doors open. That is of course another discussion for another day. 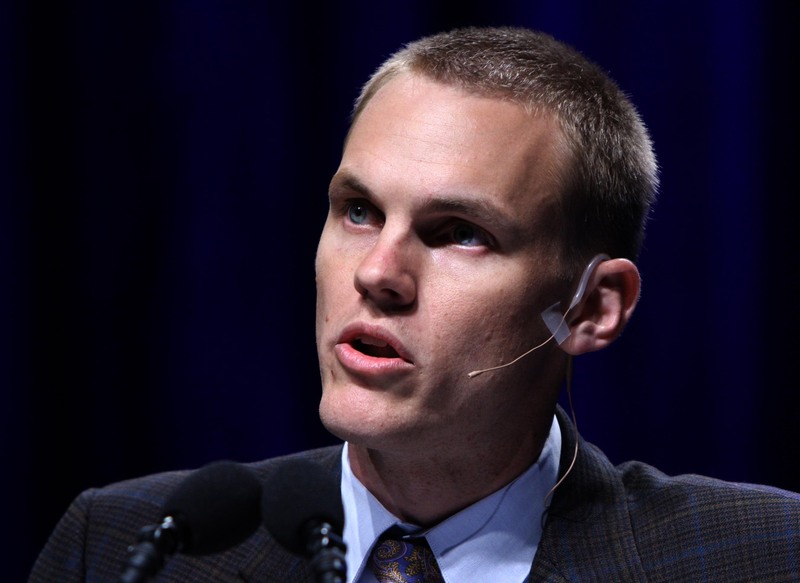 His appeal to the younger “reformed” crowd … lest we forget that David Platt is a prominent leader in the New Calvinist movement. It will only take a generation to shift Southern Baptist identity from its Anabaptist, free church tradition to a reformed evangelical identity. The momentum is now in that direction. Certainly he can’t be any worse than John Bunyan or Charles Haddon Spurgeon! Let me see if I understand your logic…You believe (as I do) that the CP is the absolute best funding mechanism for world evangelization and should be the primary if not exclusive means for funding Great Commission work. It has served Southern Baptists well and today more than ever it needs our support and even our increased attention and giving efforts? (My words, not yours, but my understanding of your position) However, because you disagree with the election of David Platt you will rethink your church’s channel of giving and your approach if not amount given through CP? Sounds like you have more in common with Dr. Platt and his reasoning as a pastor concerning mission support and means of giving a whole lot more than what your willing to admit. I love your logic and appreciate your comment; there is a slight problem however with your criticism. I NEVER said I was going to change our giving to the CP. I said I was going to change my giving to the LMCO. I think there is a BIG difference. I may decide to give the balance of our Christmas Time Offering to one of our faithful seminaries. We WILL take up a special offering as we always do. I did at Easter but gave a record offering for us to the Florida Baptist Children’s Home. Again, I appreciate your effort. Bob – was not trying to be critical – I was seeking clarification. Although I still struggle to see the philosophical difference concerning overall mission support. In fact, since the LMCO is 50% of over all IMB funding I would your response as being even more damaging to the IMB’s overall needs and effort. HOWEVER, let me clear – it is without a doubt you and the church in which you serve, prerogative and right to seek the Lord in what best reflects your mission and philosophical approach to mission funding. If your concern and conviction is as great as it seems, then you should seek the Lord and respond as you feel He is leading you and direct your church accordingly – I have no criticism brother – I may disagree, I may choose a different path for my church, but I believe at the end of the day my responsibility is simply to pray for you and keep on leading my church as I feel the Lord would have me. I am praying for Dr. Platt and our convention – the work is to great and the time to urgent for distractions! I could not agree more. The time is indeed too urgent for distractions and for that reason Platt should NOT be in the position he is in. May God bless the IMB and the SBC. Thanks for stopping in. I am indeed honored. My wife and I have always given directly to the IMB through the Lottie Moon program. We did this in addition to our church’s giving to the CP. That is GREAT, In fact that is what the majority of SBC churches and individuals do. Dr. Platt on the other hand, did not see the benefit (which he now sees Praise the Lord) of giving through the CP. There is a major difference my brother. I really think Mr. Platt is a very poor choice as the IMB President. I hope time will prove me wrong. But IMO it has just added another layer of division to an already divided denomination. Bob, no one cares what you think. It is irrelevant. You will of course not likely repent of your trashy talk. It is a cancer. Lets see… 1 anonymous rude person and 4000+ page views in the last week and a half.. I care what I think and really that is all that matters. Bob – Many Southern Baptists care what you think and respect your courage to post these very real concerns. Unfortunately, they are part of a largely silent majority within SBC. The silence of SBC millions is deafening. If emerging changes in their belief and practice don’t prompt them from their apathy, nothing will. I get a number of comments in emails expressing thanks for these articles. I am afraid most have no CLUE as to what is taking place in the SBC… when EVERY entity hire is a calvinist with the exception of Frank Page, you would think people would wake up but they are not. Pretty sad… sickening actually. Bob and Max—I awoke, and there undoubtedly are zillions more—they’re probably busy (after the shock of hearing that Calvinists or Reformed think they are are part of the SBC) studying the Baptist Faith and Message, historical documents at SWBTS, Dr. Caner and other historians to try and not only reiterate what we thought we knew (God loves everyone and you cannot lose your salvation, not having anything to do with points), all the detailed records, but to also determine the actual problem and solution. I’m so grateful to Bob Hadley and Peter Lumpkins (Puryear and others), who tirelessly speak exactly as if we out here were to speak. Just because it seems like we don’t care, it’s not true. When folks realize the severity of the problem, oh, believe me, they’ll speak up. We do care about theology (my favorite read, night and day), are still an evangelical force to be reckoned with (been leading others all over the world to Christ and sending Bibles). We were attacked left and right online and only became aware of all of this through social media. Many people are not on the internet and are being taken advantage of since they don’t know. All they know is that the pastor they get seems strange, like the folks who kept telling me that God did NOT die for everyone. It really messed with me, but caused me to search, and for that, I am so grateful. We need many town criers, going around the countryside, like they did in the early days. Max, concerning your last sentence, I’ve felt exactly like that, too, and after considering every possible church I could, I couldn’t find any that adherred to the doctrine of the Traditional Southern Baptist—and as a young teen atheist, I searched so many religions and denominations until the Southern Baptists, delightfully determined, did not give up on me, and showed me the truth. When you see the truth, you know it! I’m sorry, but I think the non-Calvinist Southern Baptist majority has been committed to the Gospel and want to see the nations rejoice in the name of Christ … ALL of them. ladyshe – Regarding all those folks taking a fresh look at the Baptist Faith & Message, they will find that the 2000 revision has ample theological wiggle room for reformed doctrine. Thus, we are challenged to agree to disagree, go along to get along, unify in diversity under one big tent … while the SBC drifts further into Calvinism as its primary belief and practice. Most SBC entities are already under reformed leadership in a proportion not representative of Southern Baptist membership at large … the trend is definitely in this direction. Why are you responding with such passive aggressive angst? Why are you now doing what you have previously accused others of doing? Your withdrawal of support from the imb will not thwart God’s plan to reach the lost, but will fuel bitterness and division. Wow… not sure WHO you are talking to… passive aggressive? I have NEVER been passive about ANYTHING. I am not doing anything that I have “accused anyone” of doing. Two comments. First, your position is… we are going to do what we want to do and you keep sending your money. Not happening. Firing darts at me on that basis is really a shame. Exactly, my thoughts. Just browsing through here and I’m not sensing much more than strong defensive opinions from this blogger. Move on people. Pray, fast, love God and lead others to and deeper in Christ. Criticizing people who are on the extreme end of passion for God and the lost makes zero sense. Join forces in prayer, unity and purpose. Embrace zeal for the mission and respect our differences. I do not see the Spirit of Christ in this critical piece of verbage. Humility, please. Leave Platt alone. Pray, give, go. Stop the wasteful articulations of too much free time and get on with the work of encouragement toward the mission, toward unity in the cause for Christ. John 17. This kind of blog is another example of why people are continually turned off by the “religion” of churchianity. Send a lost person to read this blog and they are now one step further from embracing your religious assertions. Lest I be misunderstood, the doctrine of the Traditional Southern Baptist is exactly the doctrine of Scripture, and I should have worded that differently. Bob, You are saying out loud what many are thinking but fear saying so. You have hit the nail on the head. I am amazed that someone is qualified on the basis of “now seeing the beauty and usefulness” of something they disregarded before because they seemingly did not know better? These are grown men making the decision right? Grown men who have power and influence? People actually buy this drivel? I am afraid in the YRR movement this is part and parcel since very young men expect large salaries and total control of the church right out of seminary. There are a few other things that really bother me about Platt. One concerns his words and demeanor from a trip to Dubai with some other Reformed pastors. I was shocked. He basically tried to pass the trip off as being “dangerous” and they had to speak from an “undisclosed location” (The Dubai Hilton?). This is our new IMB President? As some of my missionary family will tell you, Dubai is NOT dangerous at all. They often go there for RandR when flying back from the East where IT IS dangerous. In fact, Dubai has Christian churches. My second problem is he preached “Radical” living at Brook Hills which many people took to heart and some eventually burned out. Now he is taking a six figure salary? What about the focus at Brook Hills? Will he commute from a poor neighborhood to his IMB office? I sincerely hope he will insist on a much smaller salary considering he made a lot off a book teaching such things as giving most of it away. His salary comes from tithes so he can just forgo half of it for the CP. I feel like that entire movement lives in total cognitive dissonance and expect us to do the same. No thanks. “…. All this to say that, in my opinion, David Platt and LifeWay Christian Resources are attempting to boost sales of Platt’s most recent book, Follow Me, and accompanying study manuals, by creating an aura of cutting-edge excitement based on number of things which just are not true. This link highlights Todd’s point. • Todd continues: My daughter attended this “simulcast” event that was taped in Dubai on August 14th beginning at 7:00 P.M. local time. So even if the “simulcast” would have been broadcast in the USA at the originally advertised time of 6:00 P.M. Eastern time, it would not have been “live” as claimed it was to have been. When it is 7:00 P.M. in Dubai it is 11:00 A.M on the East Coast of the USA. That pretty much debunks the “live” claim. • Next it is claimed this “live” broadcast will be from an “undisclosed location.” Here is a link on the Redeemer Church of Dubai’s website which openly announced that the event would be held at the Marriott Hotel. That debunks the “undisclosed location” claim. Lydia – I suspect Wilhelm’s observations were not considered in Platt’s vetting process by the IMB … or maybe they were. Out of 16 million Southern Baptists (OK, 8 million), Platt was the best choice?! If you wanted to further rally the YRR and complete the Calvinization of the SBC, it was an excellent choice. David Dockery: Prophet or Protagonist in the Rise of Calvinism?